From plastic to steel models, you can find a steering wheel lock in your price point that will add a lot of car security to your life. Thieves can jimmy a lock and hot wire your car, but if they can’t steer, their attempted car-jacking will be thwarted. Whether you have a fancy car alarm system or not, an anti-theft steering wheel lock can serve as the last line of defense in an attempted vehicle theft. From plastic to steel models, you can find a steering wheel lock in your price point that will add a lot of car security to your life. Here are some of the top models that you can buy for added vehicle security. It’s Cheap. This steering wheel lock costs about $25. Comes With a $500 Guarantee. If your car is stolen, Winning International can pay up to $500.00 of your deductible (available in most states). Great Reviews. 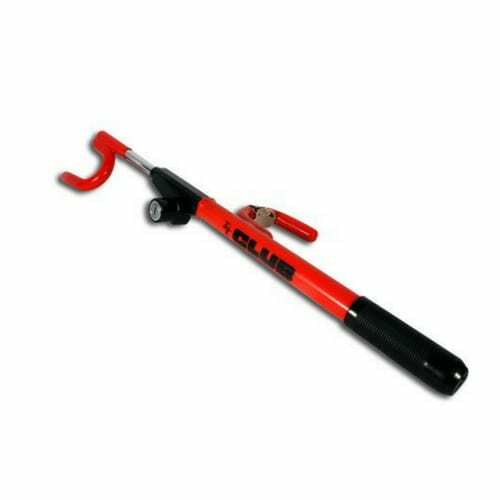 The Club 300 Twin Hooks Steering Wheel Lock has 4.5 stars on Amazon and is ranked #1 out of all steering wheel locks. Compatibility Issues. Even though it’s supposed to be universal, some drivers haven’t been able to use this with certain vehicles. 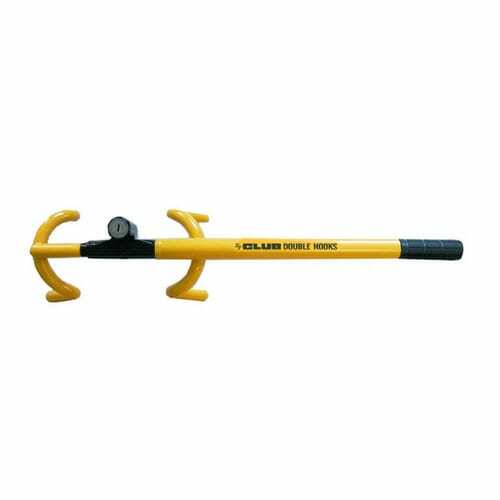 Yet another Winning International steering wheel lock has made the top of the list. This model has a “S” shape and connects to the clutch or brake pedal for reinforcement. There’s no way a thief would be able to drive your car away while this device is intact. It would be hard for them to disable it too; The Club CL303 is made out of steel and coated in a vibrant plastic for looks and feel. Great Reviews. This model has 4.5 stars on Amazon and ranks #2 out of all steering wheel locks. Affordable. You’ll only spend about $15-$20 on this piece of safety equipment. Double Duty. This lock connects the pedal and your steering wheel, making driving impossible. More Popular Models. We’re nitpicking here, but the model above has more popularity among Amazon buyers. This anti-theft steering wheel lock—also made by Winning International—kind of looks like a giant lobster fork. It’s double prongs on the end are designed to hook onto both sides of your steering wheel to secure the device. In bright red, it’s something car thieves will see before they get into your vehicle, so they’ll probably avoid your car entirely. Great Reviews. This model has 4.5 stars on Amazon and ranks #3 out of all steering wheel locks. $1,800 Coverage. You’ll have a one year warranty with this lock that will cover up to $1,800 of your insurance deductible if your car is stolen. Compatibility. This is a universal lock and should work on most vehicles. Durability. This is made from steel, making it tough to cut, pry, or saw. More Popular Models Exist. There are more popular steering wheel locks out there according to average Amazon reviews. Steering wheel locks that attach to your steering wheel alone have on major flaw: thieves can take the steering wheel off and use their own to get away with your vehicle. This device eliminates that risk. If you install the SRK-101MB Quick Lock, it’ll lock your steering wheel into the steering columnso it can’t be replaced. You could use a steering wheel lock on top of it to give thieves a visual deterrent too. Unique Design. 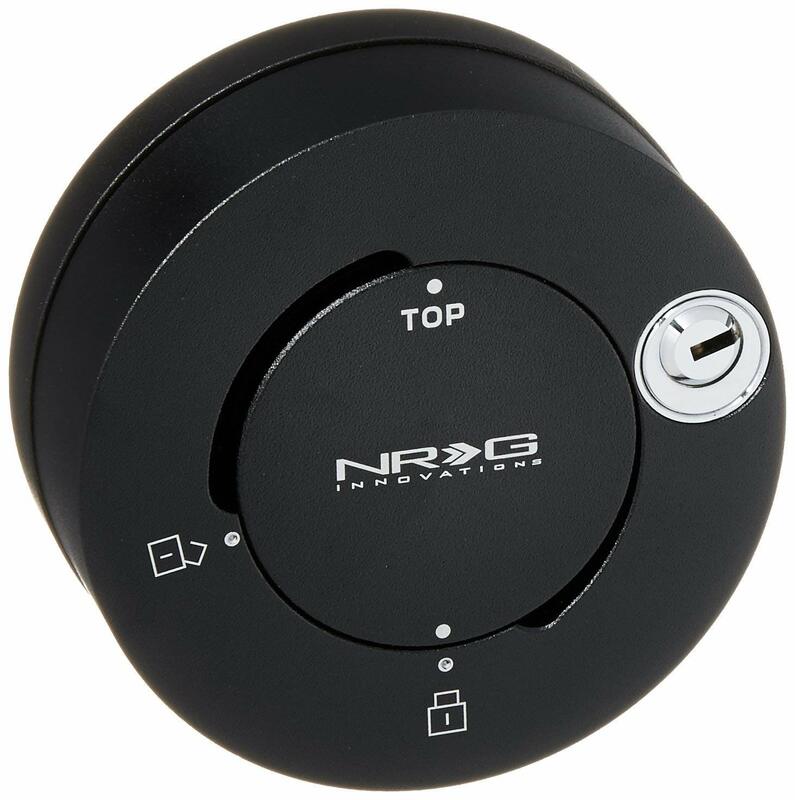 This lock disables thieves from removing your steering wheel with lock intact and using their own to get away with your vehicle. Good Reviews. Customers on Amazon have given this device 4.5 out of 5 stars. More Expensive. This lock is about $90 compared to the $20 range of other models. 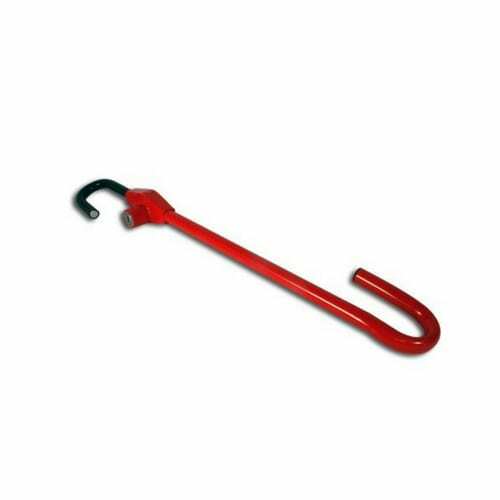 The club 3000 twin hooks will simply been very easily making it possibly the easiest steering wheel lock to remove on the market. All the thief has to do is tug on it bending the lock. Easy peasy find something different. You can see images of this on Amazon.